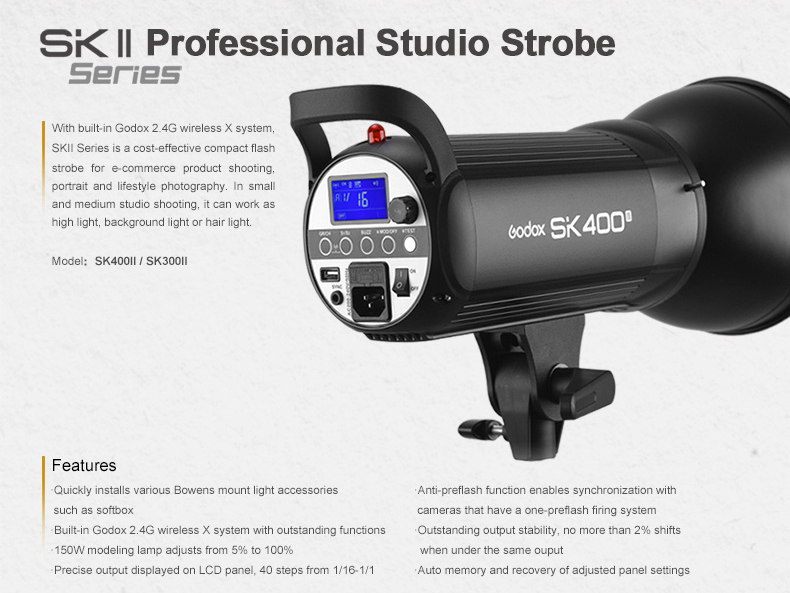 With a guide number of 190, the SK300II Studio Strobe from Godox is a 5600K daylight-balanced flash source that offers solid core and convenience features at a budget-friendly price point. 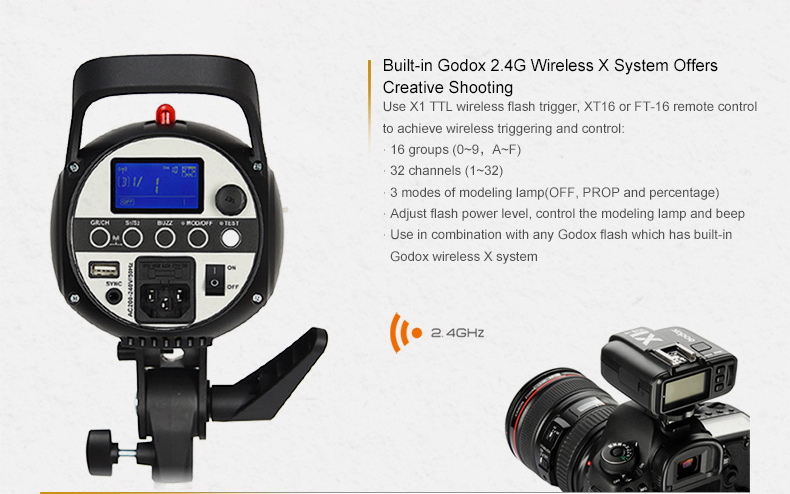 The head features a 0.4-2.5 sec recycling time with flash durations as short as 1/2000 sec. 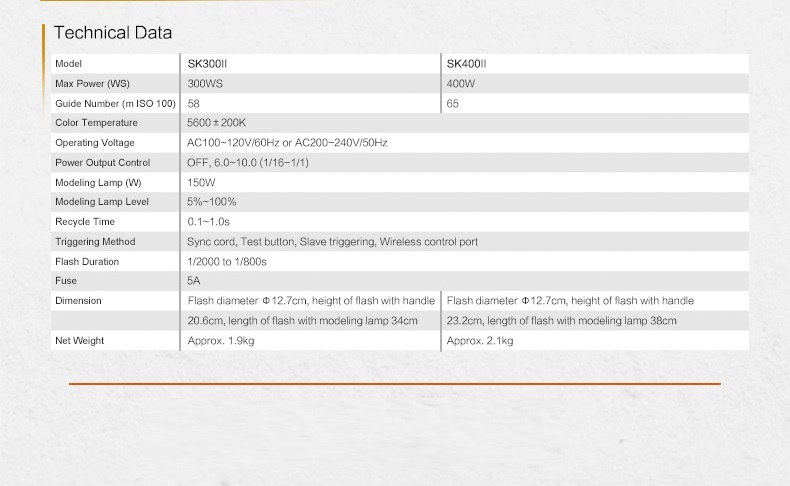 Power is variable from 1/16 to full power, adjustable in 40 steps, while the 150W modeling light has a Proportional mode to allow you to preview your lighting effects and a Percentage mode that adjusts brightness from 5 to 100%. 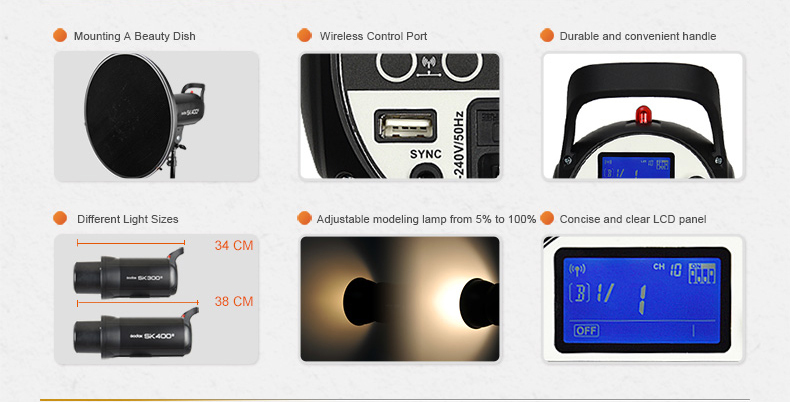 Settings are accessed via rear panel push buttons and displayed on the easy-to-read LCD screen. Triggering options include sync cord, test button, and slave triggering. 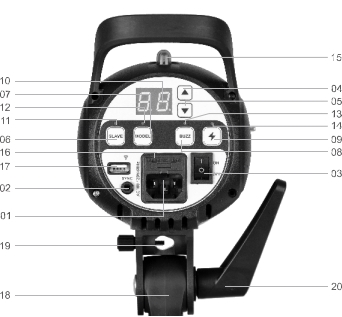 The SK300II has a built-in 32-channel X1 radio system, making wireless function control possible with separate purchase of the XT16, FT16 or X1 TTL transmitter. The head also has an anti-pre-flash function that makes it easy to work with point-and-shoot and other cameras that employ pre-flash. The SK300II weighs in at 4.2 lb, encouraging the assembly of a kit with two or more heads without having to lug a heavy case around. 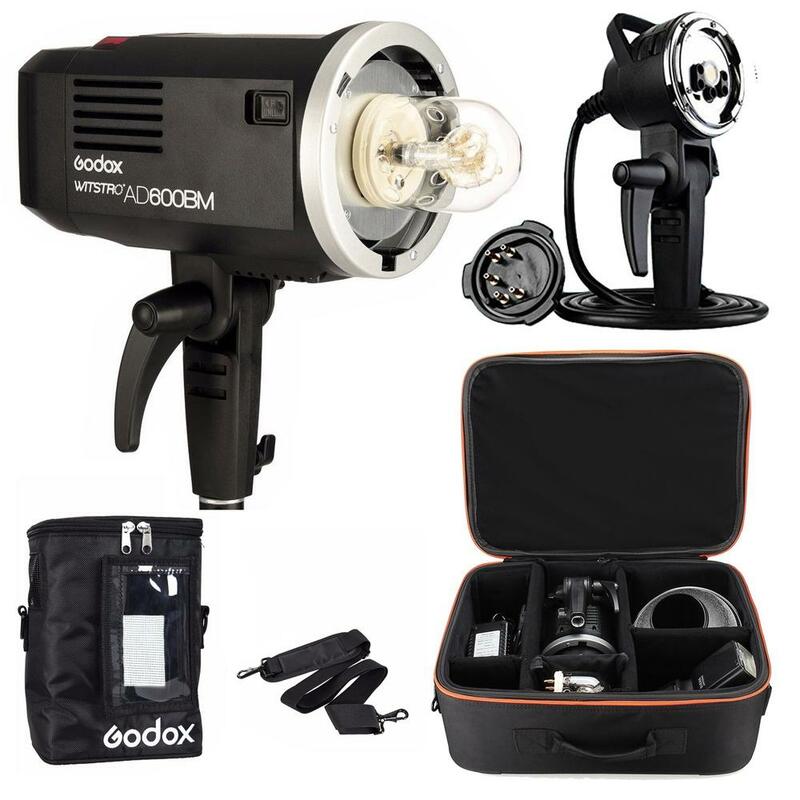 The SK300II has a Bowens front accessory mount, allowing it to use Godox modifiers as well as accessories from the many manufacturers that use this system.